Co-Motion Cycles is one of America’s most popular handmade bicycle manufacturers… and they make some of the best bicycles in the world. Founded in 1988 and located in Eugene, Oregon, Co-Motion Cycles makes an incredible line-up of touring bicycles, but they also produce road bikes, cyclocross bikes, and even tandems (bicycles designed for two or more people). Because I’ve been such a fan of Co-Motion Cycles over the last several years, and because I’ve been using a Co-Motion bicycle on my own bicycle touring adventures all around the world, I invited the owner of the company, Dwan Shepard, to speak with me during this very special webinar event. This live, 1-hour Internet event was held on Tuesday, April 22, 2014, but the event was recorded and you can now watch the recorded replay of the webinar right here on this page! If you’re in the market for a new bicycle, you think buying an American-made product is important, or you simply want to know why I chose a Co-Motion bicycle over any other type of bike in the world… then this video interview with Dwan Shepard of Co-Motion Cycles is for you! 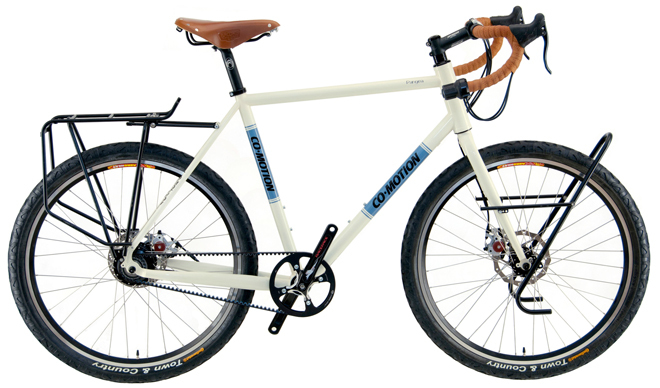 Or click here to read my detailed review of the Co-Motion Pangea touring bicycle. 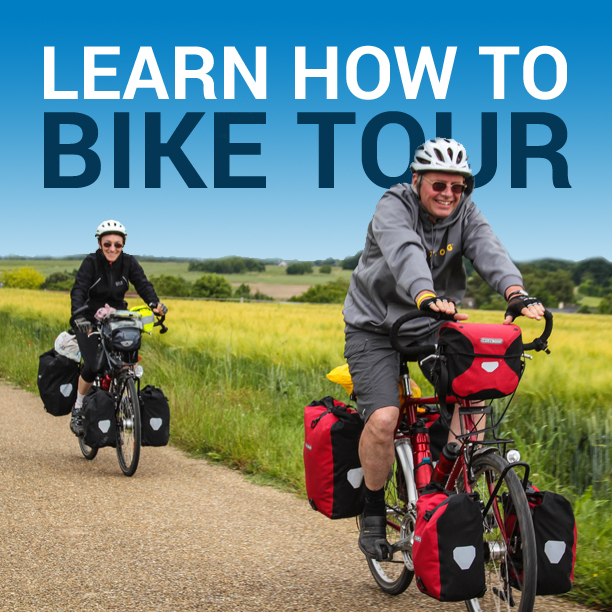 This entry was posted in Bicycle Touring Pro - Webinars, Bicycle Touring Pro Articles, Bicycles, Featured Articles, Featured How-To Articles, Main Articles, Products, Videos and tagged american bicycle, american bike, american made bikes, american made touring bicycle, co-motion, co-motion cycles, co-motion interview, co-motion tandem, co-motion webinar, co-owner interview, dwan shepard, tandem bicycles, touring bicycles, touring bikes.